David Weber is a screenwriter, TV writer, international teacher and script consultant, as well as a writer of non-fiction books. Weber was one of the writers on La Piste, (The Trail) directed in 2004 by Academy Award nominated director Eric Valli for Gaumont Productions. He and his partner Albert Berger were writers on Overboard, starring Kurt and Goldie Hawn, directed by Garry Marshall for MGM-UA. His television credits include Nothing in Common for Tri-Star Television (which ran for one season on NBC) and The Beach Brothers, a pilot for CBS Productions. Weber has written screenplays for Paramount, MGM-UA, Tri-Star and Taft Barish Productions, as well as for European production companies in Denmark, France, Norway and Germany. 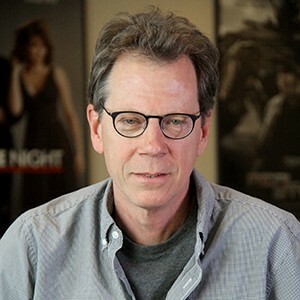 He has taught at dozens of screenwriting workshops in Europe and Asia, including a ten-year stint with North by Northwest, an EU-sponsored program, where he was one of the founding instructors. He also worked as Creative Consultant for the highly rated Spanish-language television series Pantera, for Televisa in Mexico and Univision in the U.S.
Weber is currently at work on an adaptation of Jade Cat based on the novel by celebrated Danish writer Suzanne Brøgger. He is also in the research stages of writing a non-fiction book about the Crown family of Chicago.